This week Kanahau brought some interesting plants and fruits that are found right here on the island to the local community. Many of them had never seen these plants before or had seen them but didn't know what they were. Many of the plants here have medicinal properties or are incredibly healthy. We made some smoothies from noni, papaya, and lemon juice, which were smelly and a bit disgusting, but great for the body! As a treat, and to wash that horrible drink down, we made a lemon grass tea, which the kids loved. Teaching the local community about the flora and fauna of their island helps bring out a greater appreciation for it and will hopefully inspire them to protect it in the future. 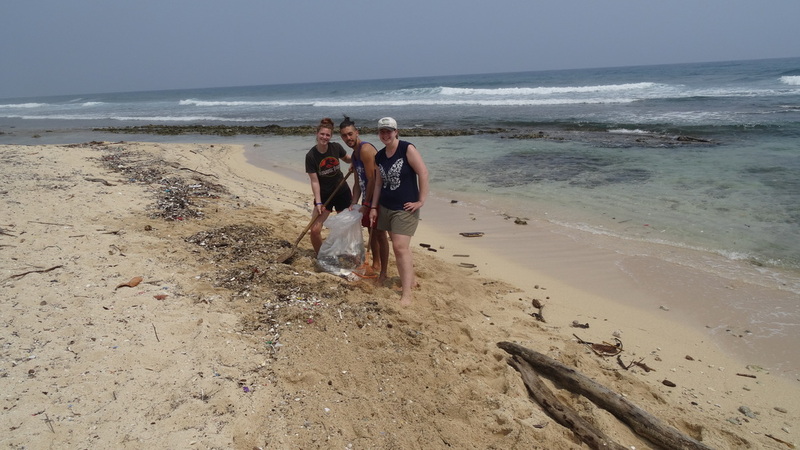 This morning the Kanahau team joined up with WSORC to clear plastic and other rubbish from Pumpkin Hill Beach. We are lucky enough to live just a couple of minutes away, and the beach is really important as one of the few nesting sites on the island for turtles! There is a big problem here with litter washing up on the beaches, so every effort to clean them helps both the wildlife and the people.